Every woman needs a signature scent that’s utterly and recognizably her own. The best perfumes work with your body chemistry, and just a whiff of it can be a magical thing. If you’re feeling crafty and creative, make your own scent. You can use exciting scents and ingredients from the convenience store to make your very own toxic-free, signature perfume right at home. These DIY perfume recipes are one of the easiest DIY projects and also make for a super unique homemade gift idea! Top Notes: Top notes represent the first impression of your fragrance. They’re generally the lightest of all notes, and fade the quickest. The most common ones include citrus, herbs, and light fruits like berries. Middle Notes: The ‘heart of your perfume’, or the middle notes, make an appearance once your top notes evaporate. They last longer and have a strong influence on the base notes to come. The heart could be anything from rose to lavender, and geranium to lemongrass. Base Notes: The final fragrance notes that appear once your top notes are completely evaporated are the base notes. These mingle with the middle notes to create the full body of your scent. These are often rich notes and linger for hours. 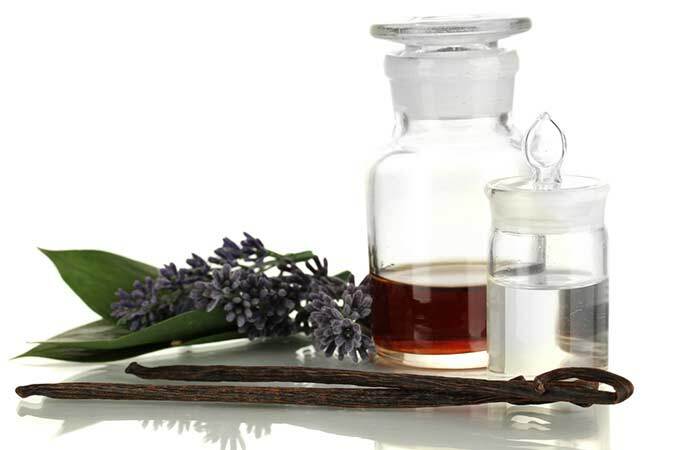 Common base notes include vanilla, musk, cedarwood, patchouli and so on. 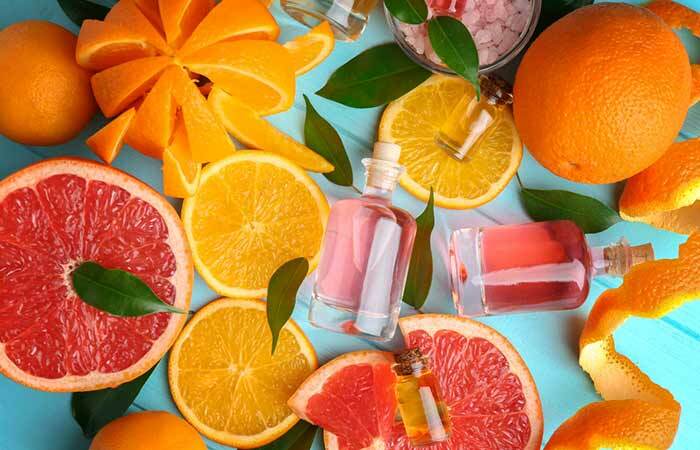 Now that you have a fair idea of what makes up your perfume, here are a bunch of DIY perfume recipes. Pour your preferred carrier oil into one of the glass bottles. Add your base, then middle, and then the top notes. Once you’re satisfied with the strength of the scent, add the water, and shake the bottle vigorously for 1 minute. Use your filter and funnel to transfer the scent to the other bottle. Start by gently washing your flower petals, removing any dirt with water. Soak the flowers overnight in a cheesecloth-lined bowl and cover it with a lid. Squeeze the pouch of flowers over a saucepan, extract the flower-scented water and simmer over low heat until you are left with about a teaspoon of the liquid. Pour cold water into this liquid and bottle it up. Leave it to set overnight! Add jojoba oil to the glass container and then add alcohol. 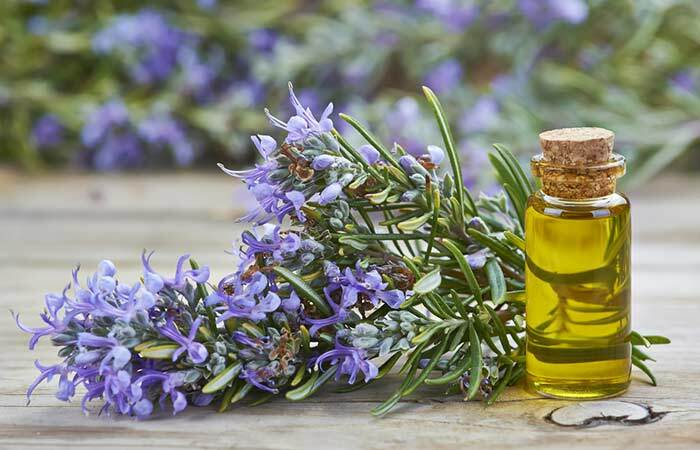 For your essential oils, follow this order: base note: 10 drops of grapefruit, middle note: 10 drops of sweet orange, and then 5 drops of peppermint, top note: 5 drops of chamomile/lavender blend or just lavender. Use a dropper to add distilled water. Mix these ingredients well and transfer to a glass container. Let this sit for 48 hours or longer, as per your preference. Transfer to a perfume bottle once it has reached the desired scent. 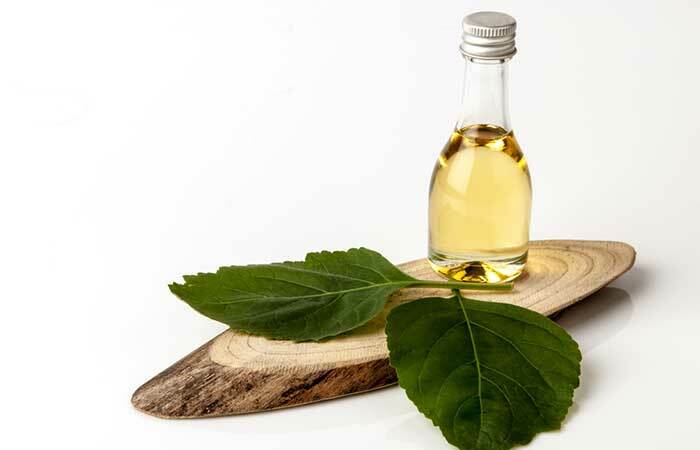 Mix your essential oil blend with the vodka in a glass bottle. Leave the mixture to sit for two days. Add distilled water or orange blossom water to the mix and shake gently. Leave for about four weeks in a cool, dark spot. If you see any sediment, strain through a cheesecloth and pour the perfume in a spray bottle. Start by slicing open a vanilla bean, scrape out the seeds from the pod, and cut them up nicely into tiny pieces. Place these pieces in a glass bottle and add your organic sunflower oil. After two weeks, add bergamot, cedarwood, and anise essential oil to a glass spray bottle. 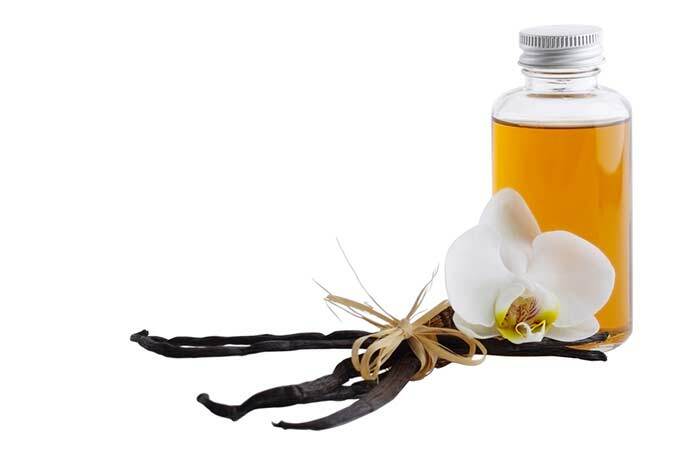 Use a dropper to get the vanilla infused oil out without getting the seeds. Add this to your glass spray bottle and finally, gently shake the blends together. Add fractionated coconut oil and beeswax to a glass jar. Place the jar in a saucepan with about 2 inches of boiling water. Once it has melted, remove from heat and let it rest for 3-4 minutes. Add your essential oil and stir well. 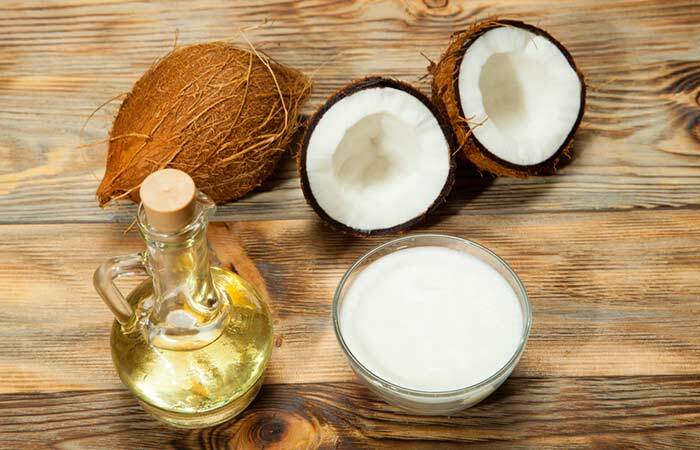 Pour this into a container, and to use, apply a small amount to your skin. Start by combining your alcohol and distilled water into the dark glass bottle. Once you finish, let it sit for about two days. Gently shake before you use! Mix all your essential oils in a glass bottle that contains your 100 proof alcohol. Gently shake and let the bottle sit for about two days. Add the distilled water, mixing slowly until it’s completely dispersed. Leave your perfume to sit for 2-3 weeks in a cool, dark place. After your perfume matures, remove any kind of sediment using a filter and store it in a pretty glass spray bottle. Start by dropping your essential oils into a bottle and gently swirl around to mix. Transfer this to a roller bottle. Put the lid on and roll between your hands to mix. Roll onto your wrists and behind your ears to use. Start by placing your rose petals at the bottom of your glass jar and pour the vodka over it. Cover this up and let it sit for a day in a cool, dark place. Use a spoon to squish the petals and add the distilled water into the jar as well as the drops of essential oil. Cover the bowl and leave it to sit for 5-7 days, making sure you mix it once a day. Once this concoction has been sitting for a week, strain this mixture into a glass perfume bottle. Shake well, and it’s ready to use! Place a glass bowl on top of a pan partially filled with water. Simmer over medium heat. Place the oil and beeswax in the glass bowl, and allow the beeswax to melt. Remove the bowl from the heat source, and stir. Pour the liquid into a container or tins. Once your liquid begins to cool, add the essential oil(s) of your choice. Gently stir and place the lid back on your container to keep the oils from evaporating. Allow the perfume to solidify before use. And as the perfume matures, the scent intensifies. Start by slicing open the vanilla beans using a knife. Place the beans and the lavender flowers in a glass jar. Pour your alcohol into the jar and secure with a lid. Let this mixture infuse for seven days. Strain and discard the beans and flowers. Add glycerin, lavender essential oil, and vanilla extract to the reserved liquid and stir. Allow the perfume to age for four to six weeks. 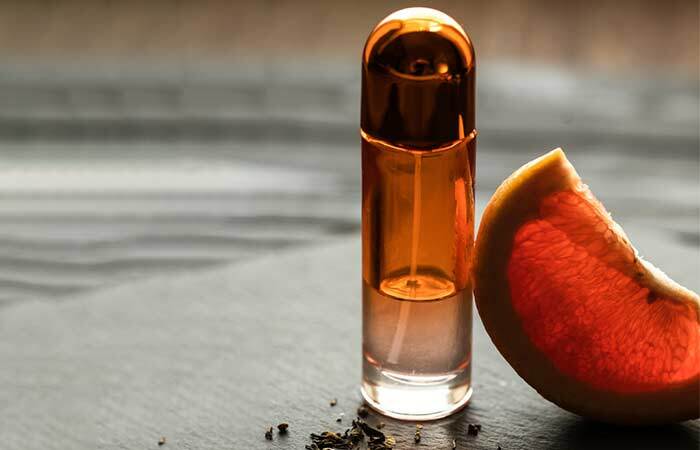 Strain the perfume and transfer to a spray bottle. Add the essential oils to your roll-on bottle. 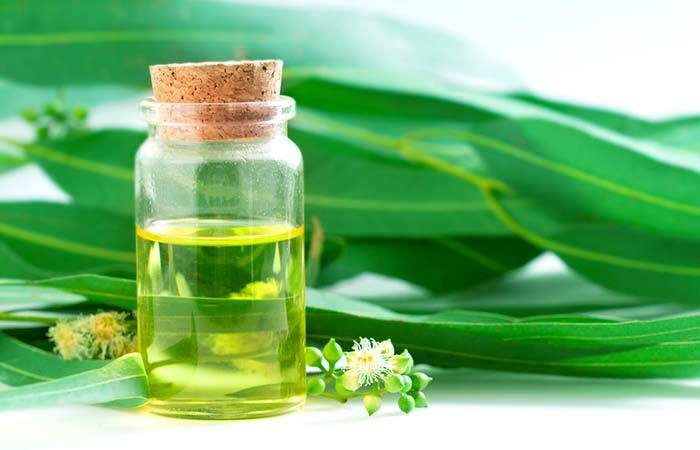 Use an eyedropper to add jojoba oil till the shoulder of the bottle. 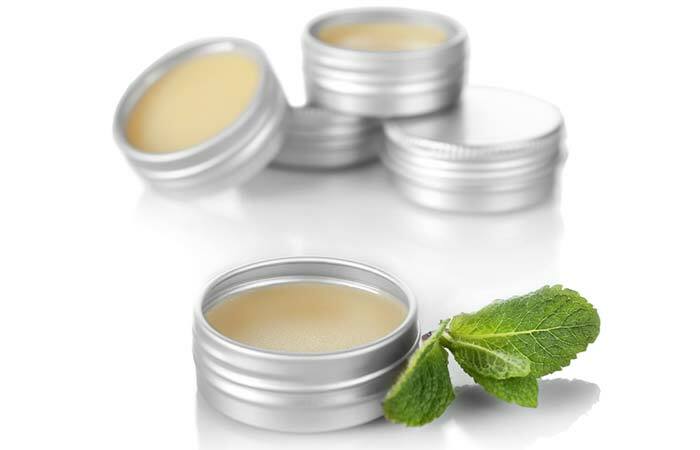 Replace roll-on ball and lid, and shake the bottle gently until the contents are properly blended. Add the jojoba oil to the glass container and then add your alcohol. 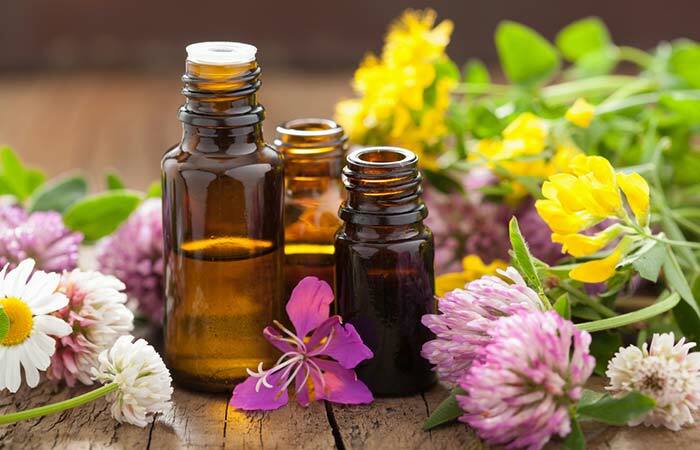 Add the essential oils in the following order: base note – 10 drops of grapefruit, middle note – 10 drops of sweet orange and 5 drops of peppermint, top note – 5 drops of chamomile/lavender blend. Mix this well and transfer to a dark glass container. Store this for two days or up to six weeks. Transfer your perfume to a pretty glass spray bottle once it reaches your desired scent. Combine your flowers and vanilla in a clean, glass mason jar. Pour enough vodka to cover the dried flowers until they float. Put the lid on and let it sit for four to six weeks, then strain the flowers. Strain the liquid and pour into a glass spray bottle. You don’t have to spend a ton of cash to smell good. 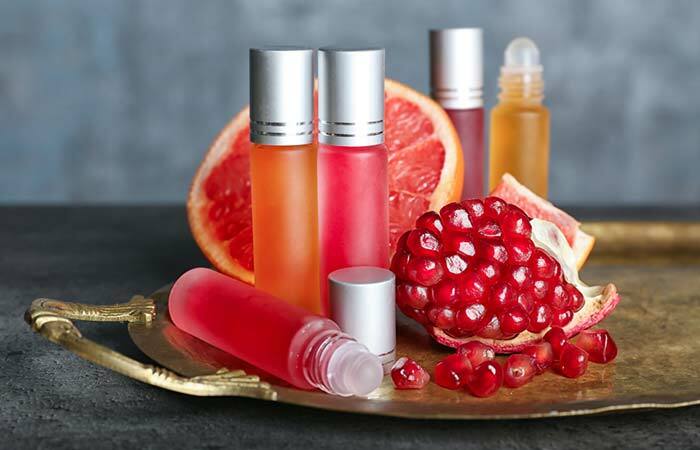 Now that you have a bunch of exciting perfume recipes to try out, here are a few tips that you should keep in mind while making and storing your creation. Set up a proper workstation – it doesn’t have to be anything fancy, but a clear table where you can measure ingredients with ease is important. Buy glass bottles with airtight lids and spray dispensers before you start your project. Always use pure alcohol or 100 proof vodka for your perfumes because – the higher the percentage of alcohol, the better the outcome. 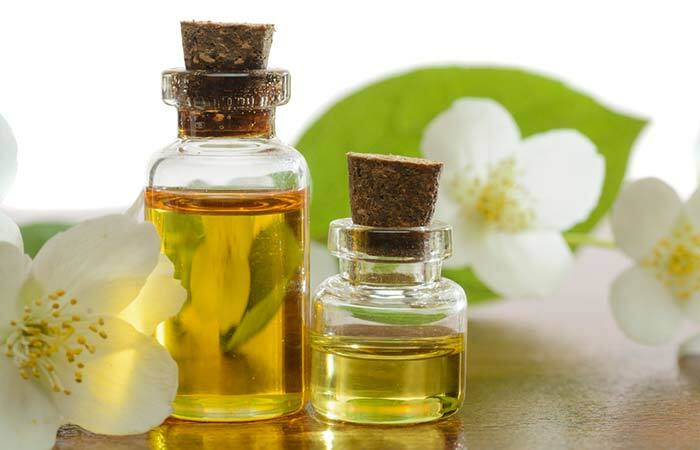 It’s best to use only glass containers and bottles while making your perfume because essential oils will break down the plastic, which in turn can destroy the oil. 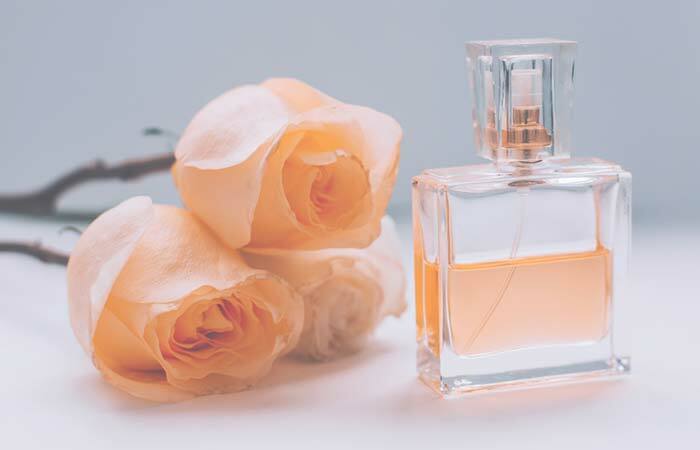 The effectiveness of your perfume completely depends upon the ratio of essential oils, alcohol and drinking water in your blend – so make sure you measure well before adding anything, because a little less, or not enough, will change the entire sign of your perfume. Perfume is like fine wine, and it needs to remain and mature before it reaches excellence. 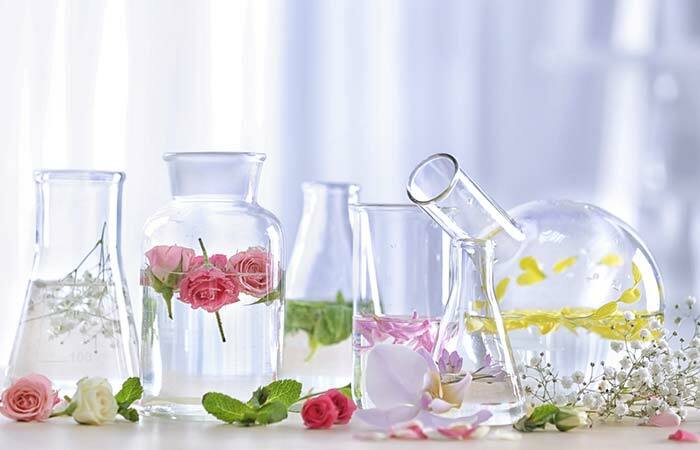 Making perfume at home is a skill, and it gives you your very own unique scent. 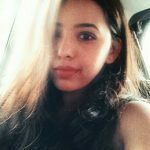 You get to avoid all the synthetic chemicals and fully customize your fragrance according to your personal scent. Besides, don’t you agree that creating something with your very own hands puts a little piece of you in it? 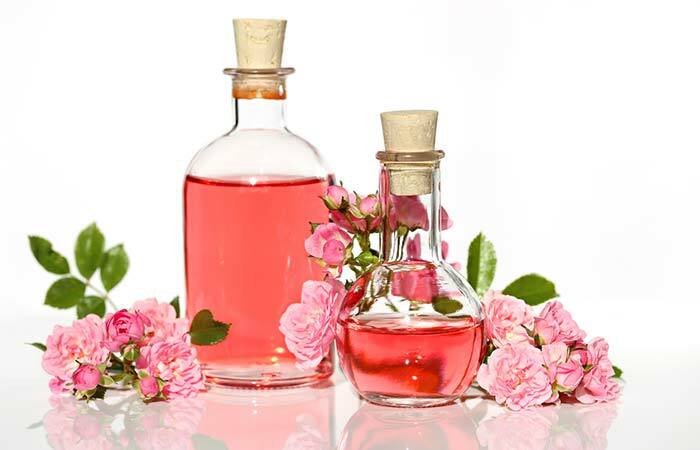 That was our roundup of the top 15 DIY perfume recipes. Which one are you excited to try out? Share with us in the comments section below. How To Find Your Signature Scent?